Plants grow best in semi-shade in most soils, including poor soils. They send out runners, which can be removed and grown on into new plants. They are generally untroubled by pests. Pack of approx 50 seeds. 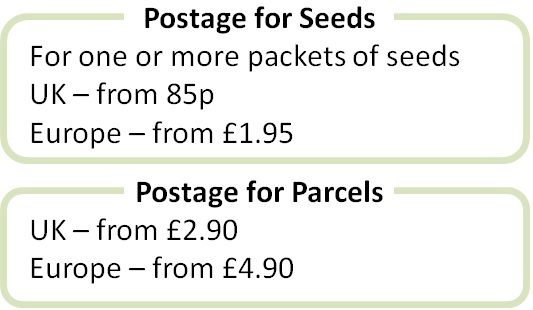 Sow the seeds in spring or autumn. Sowing instructions and a colour photo are printed on the packet. Sow Sow the seeds in spring or autumn on the surface of a tray of seed compost. Cover the seeds very lightly with compost. Keep the tray moist but not waterlogged, at 10-15 degrees Celcius and germination takes 1-2 months. Be patient with the seed tray, as seeds may germinate erratically. Transplant seedlings into small pots when they are big enough to handle and then out into the garden after hardening off. Grow Plants form rosettes of leaves, sending out runners, which grow into a mat of plants. Tidy up plants after flowering. Mature clumps of plants can be divided in autumn or early spring.